The ultra lightweight JAY Lite Cushion by Sunrise Medical showcases ingenuity to achieve superior pressure distribution and comfort. 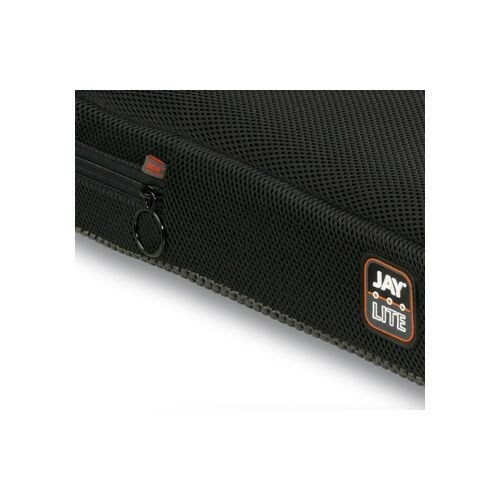 At just under two pounds, the JAY Lite is a perfect addition to any lightweight wheelchair. The base is made with Oletex and EVA foam that's contoured and beveled with an OptiWell™ cutout for careful alignment of the pelvis and thighs. 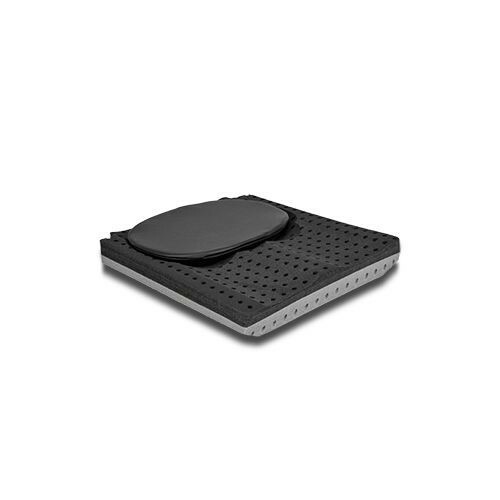 This distributes user's weight over a greater area to minimize pressure. 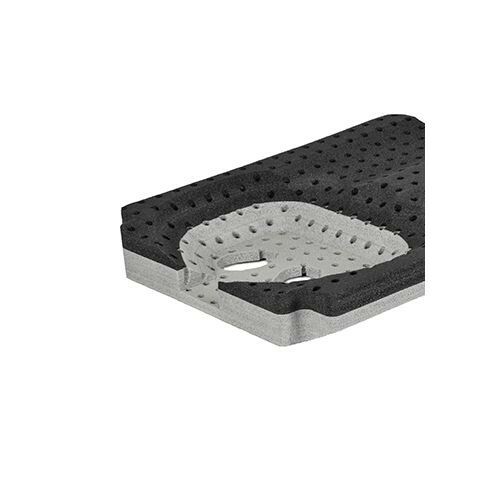 An additional high-resiliency foam insert sits above the OptiWell™ as another measure in preventing skin breakdown. The air pocket design is another benefit to the Lite creating ventilation and extended comfort. 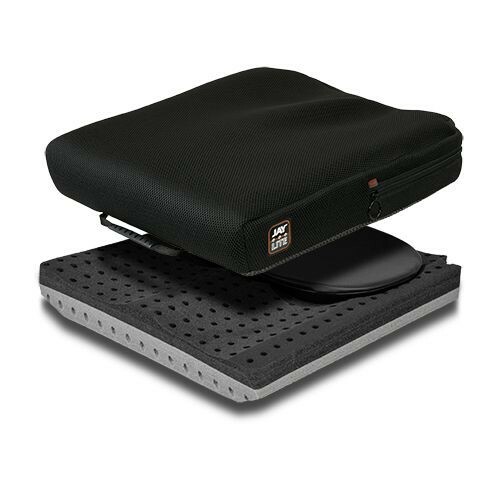 The JAY Lite Wheelchair Cushion is protected with Microclimatic Cover with a 3DX™ spacer fabric creating further airflow. The fabric has moisture wicking capability to keep the surface clean and dry. The Lite is designed for regular maintenance and monthly cleaning. The foam base should be wiped down with a damp cloth but never submerged into water. The cover can be tossed in the washing machine and tumbled dried for easy maintenance.